I said this once I’ll say it again I am in love with online shopping! And I could ramble for hours on why online shopping is great but that would be too boring. Instead of boring you to death I will ramble on this shop I’d recently found out called DressLink, honestly you just need to check it out for yourself it is just amazing. You will be amazed with both the design and price, I have read a bunch of reviews and almost 99% of the reviews are nothing but a positive note. Because scrolling down the shop is not enough for me I have to share with you the things I love from their site! And keep in mind there are a thousand other things I’d like but these are just my top 3. A faux fur vest is something that I’d want for a long time now, and when I saw this I completely fall in love. Especially after reading the reviews! Again might be a little bit to early to wear the vest but I wouldn’t mind I’ll wear it anyway at least now there is something that helps me standout from the crowd. And what attracts me most to this piece is the colour gradient I think most people who own a faux fur vest opted for a more neutral colour like black or white or beige, and with its colour and shape this piece standout. A little story time, when I first scroll through the shop and saw the cat stockings I almost flipped! it is so cute! and I can imagine wearing it with a bunch of different dresses, I mean this definitely is a must have it can elevate any outfit and make it look more put together, of-course this thighs won’t make you look professional but it is just an essential to have in anybody's wardrobe. Lately I’ve been super obsessed with make up, and I do not use the word obsessed lightly. So I figure why not start the collection with a complete make up brushes set. 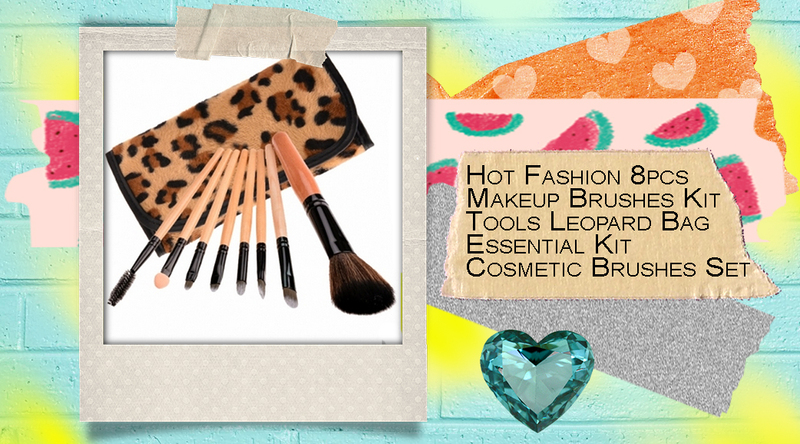 after reading the review I feel more confident that they are indeed good quality brushes. ALSO! I am in love with the pouch i think it is super cute! Bare with me now I am obsessed with the Tetris Leggings(KLIK!) They would look awesome with a loose blouse and a belt to synch up the waist! 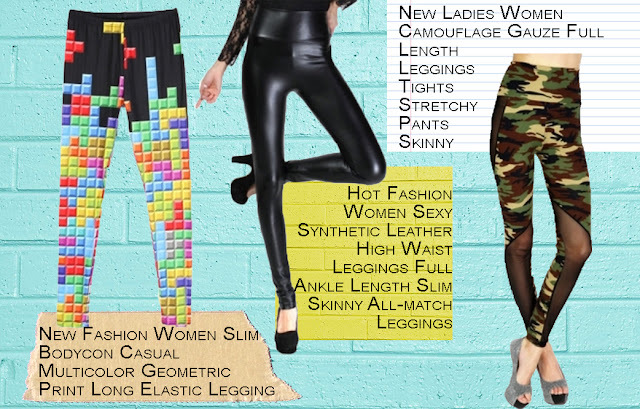 Last piece is a camouflage leggings with mesh detail(KLIK!) and I don't think I can see my self wearing them because I don't have the longest legs, but they might look cute on other people with longer legs because of the mesh detail that will show off the tinniest part of your leg. This trousers will look superb with a pair of combat boots or yellow pumps with a denim jacket if you are going for an edgy look.